Michael is three days behind on his plan to free his brother, particularly with his new insomniac cell mate, Haywire (Silas Weir Mitchell), whom he witnesses take some tablets to stay lucid, but escape when the doctors leave, describing them as "invisible handcuffs". He then notices Michael's tattoo and sees the hidden "maze" in it. Meanwhile, Veronica Donovan (Robin Tunney) meets with Nick Savrinn (Frank Grillo) from "Project Justice", who wants to assist. They question Lincoln regarding the evidence, which he insists was planted. Sucre (Amaury Nolasco) is visited by his cousin, Hector Avila (Kurt Caceres), who tells him that Maricruz (Camille Guaty) is with him now. He eventually gets hold of Maricruz, and learns that Hector told her lies to get her not to come. With this new development, Sucre urges Michael to get him back into the cell. Michael manages to get hold of two chemicals and uses them to corrode a pipe underneath the infirmary as part of the escape plan. He returns to his cell and notices Haywire has drawn his entire tattoo and ponders the pathway. Michael purposely injures himself to get the officers to take Haywire away before the plan is exposed. 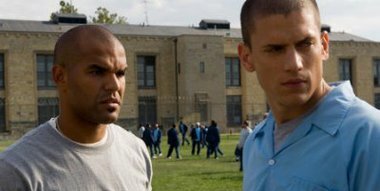 Sucre gets transferred back to Michael's cell and continues the plan. Agent Kellerman (Paul Adelstein) suspects that Scofield may try to break Lincoln out and orders to transfer Scofield out the very next day.